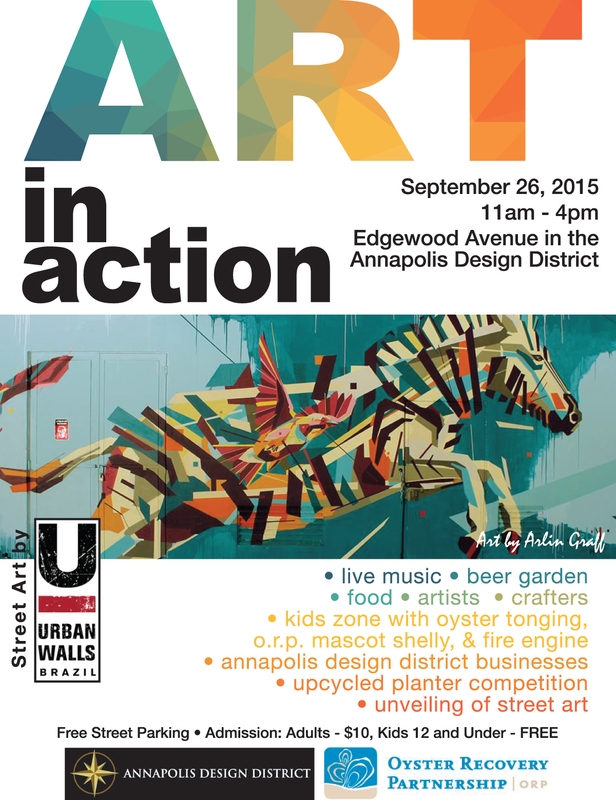 Lots to enjoy at the 4th Annual Annapolis Art in Action Street Festival! Oyster and Beer Garden, live music, ART, food, artists, and crafters! Enjoy some art in Annapolis and be sure to stop by and say hello!